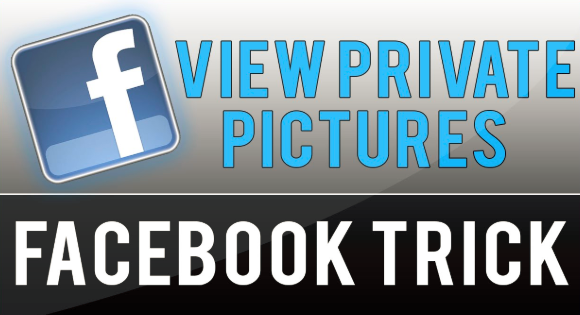 How To See Someones Private Facebook Photos - Have you ever before encounter a photo on Facebook you actually intend to see, yet do not have accessibility to? Many times people have strict privacy settings on Facebook that avoid individuals that typically aren't friends with them from viewing their pictures. Nevertheless, there are means to obtain around these constraints. Maintain reading to learn exactly how! 1. Find a Friend who is friends on Facebook with the person whose private picture you are aiming to watch. 2. Ask the friend to appropriate click as well as open the private photo in a brand-new tab. 3. Ask the friend to send you the link for the private image in the new tab. 5. You should be able to see the private image with the web link for the brand-new tab sent out to you. -To find a Facebook profile customer, search "Facebook profile viewers" on the internet. 2. Enable the picture alternative. 3. Find a particular Facebook LINK of the exclusive account you intend to view. 4. Paste the LINK, as well as look for it making use of the Facebook profile viewer. 5. It ought to after that show you the profile you intend to see, consisting of personal photos. This method might expose your to computer system unwanted to infections, so utilize it with care.